oshyn Blog: Content Is King and CMS is your most important online marketing tool - Open Text Web Solutions Usergroup e.V. Why aren't marketers hollering about decapitated Content Management Systems (CMS)? Are they insane? Or are they just not "in the know"? To paraphrase Gary Vaynerchuk, "There's this great new company, you might have heard of called Google." Okay, sarcasm aside, many people use “search” or a “search engine” even to go to websites they already know. The company name Google is used as a verb – “Did you Google that new guy you met?” Yes, we use “search” to find out everything: weather, recipes, prices, prospects, vendors, news, videos, music, homework (and even resources for writing our own blog posts). So if “search” is a dominant player in how we find content on the web, doesn’t it make sense that if we focus on making our content Search Engine Optimized? Yes! Yes! Yes! There are SEO consultants that can help you – but there are also many tactics you can deploy yourself. Having a great CMS is one of them. In case you’re a super busy marketer that has been living under a rock – a Content Management Systems is a software that in its most basic form allows even the non-technology-savvy to update, add, or manage content on a website. But now that websites have become the company doorstep - websites need much more than content! (More on that later). Are you a great writer? Congrats! Do you know how to write great SEO copy? Fantastic! If not start looking at websites like MarketingProfs to learn more about writing for SEO. Do you have an SEO-friendly CMS? (Insert Pause here….) Maybe. Don’t think so. Don’t know… Now close your eyes and envision a great big obstacle. Now imagine getting around that obstacle with your good hand tied behind your back and your good leg tied to grandma a la three-legged-race. Ahhh….there you have it: a horrible visual image to depict the challenges of being a super online marketer with a crappy CMS as your primary online marketing tool! Why is CMS Important to Marketers? Okay…I’m gonna do it. I’m going to make a tacky reference! Having a great CMS is like having a great Olympic coach! Okay…I did it! But I am an avid fan of the Olympic motto “Citius Altius Fortius” which loosely translates to “Faster Higher Stronger”. So Faster Content Creation, Higher Search Results, Stronger Conversions. Feel free to make fun of my analogy on Twitter – but I know you get my point. If you have an awkward CMS designed by developers for tech-minded people, you lose time adding or editing content. And who has extra time these days? If your CMS does not let you easily edit URLs to make SEO-friendly URLs, you are going to have a harder time getting higher SERPs (Search Engine Results Page). Got a high bounce rate on a page? Do you have a page simply not meeting your conversion goals? It happens. Are people abandoning forms or other CTAs (Call to Action)? Working with a bunch of designers and web developers, I frequently get pulled into debates about content versus User Interface (UI) versus design. You know what? If you have a CMS that offers A/B testing you don’t have to worry about the debate – you can create different variations of the same page and see which one better meets your goals. Can you find all the info you want in your analytics? No? Can you easily help your sales force by ranking leads? Can you show your sales force the aggregate interactions of a warm or hot lead? No? What a time waster! Lots of people will visit your website because of your content, and have no intention to convert to a sale in the near future (thought they may share, bookmark or tweet). But wouldn't it be nice if you could score leads and provide customer intelligence so that your sales force was more focused and wasting less time? Hell yeah! And you can even develop better relations with colder prospects by not slamming them with emails and calls before they're ripe to convert to sales. So you also minimize the risk of losing possible conversions because you scared them off before they were ready or in the position to make a buying decision. Can you create new pages you need? Can you personalize content – targeting content to visitors? Can you clearly understand how visitors navigate through your website? Can you easily add text content, meta data, multimedia, alt text, create internal links and add pages to your website’s navigation? Can you create new forms? Can you create landing pages? Can you easily create newsletters and update your database to reflect bounced emails and see analytics that show you what content caused interaction? Can you easily identify potential leads? Can you create content specifically for mobile devices? If you can’t do the above…you’ve got a crappy CMS. If you can do a lot of these activities but only by using different softwares and services, you still need a better CMS! Why would you want to gather your customer data from multiple sources if you could have it streamlined in one? 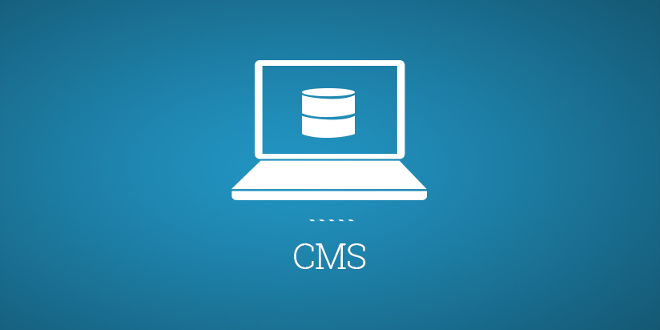 Yes, now CMS is not just about managing content its also about Marketing Automation.